It was a Christmas miracle! After starting the season 0-5, I won my fantasy football league on Christmas! It was all thanks to Adrian Peterson getting traded to the Cardinals – and he wasn’t even on my team! 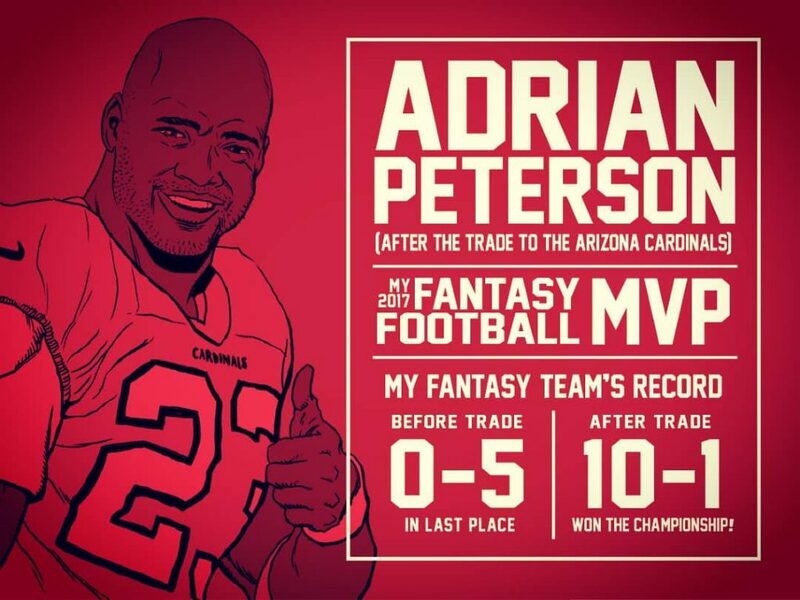 If you follow fantasy football, you’re thinking, “AP didn’t have an amazing fantasy year…” and you’re right! But what the trade did was free up the Saints backfield. I had both Mark Ingram and Alvin Kamara thinking one of them would pay off. Instead, BOTH paid off in the form of the first All-Pro running back duo since 1975 and they pulled my team to the championship! Thus, my fantasy MVP for this season was a player that wasn’t even on my team lol.